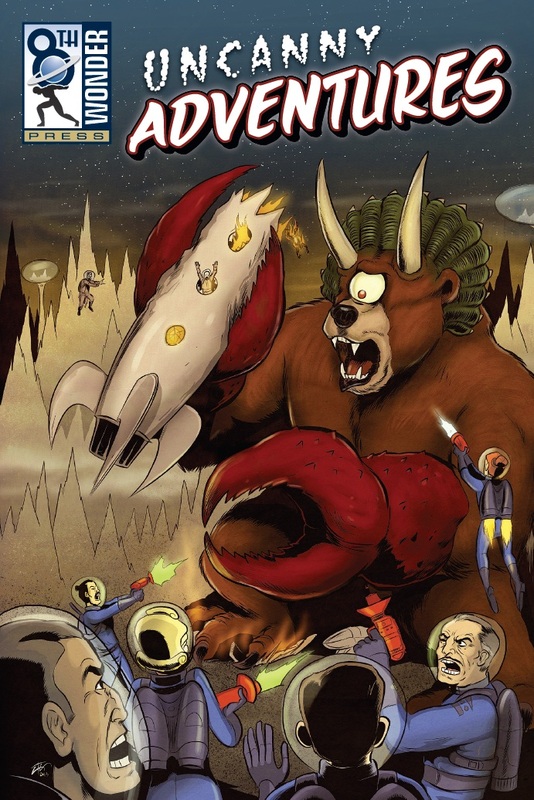 We are beyond thrilled that, after a VERY successful debut at Denver Comic Con, our new anthology Uncanny Adventures is now available for purchase through Amazon.com. This is a book we’re VERY happy to have put out, and we have tons of extremely talented creators involved with the project. We’ve interviewed several (with more to come!) with samples of what you can expect from the collection. But it’s a little bit of everything, and it showcases the breadth of sequential art. 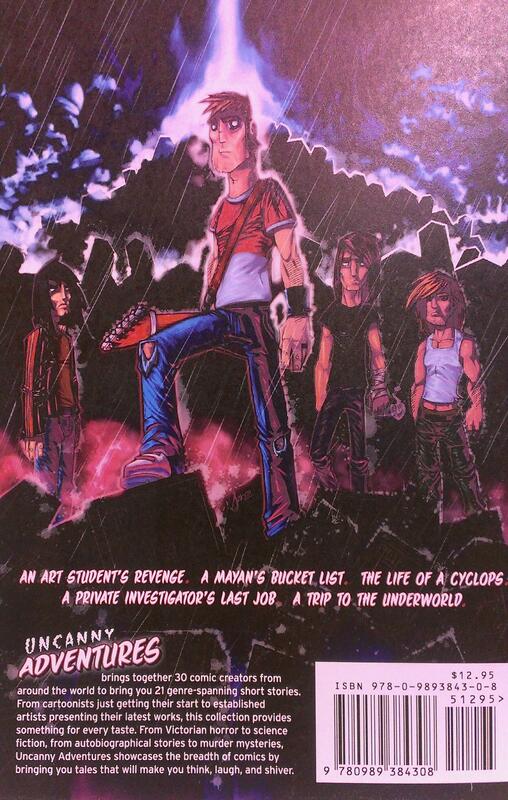 Uncanny Adventures brings together 30 comic creators from around the world to bring you 21 genre-spanning short stories. From cartoonists just getting their start to established artists presenting their latest works, this collection provides something for every taste. From Victorian horror to science fiction, from autobiographical stories to murder mysteries, Uncanny Adventures showcases the breadth of comics by bringing you tales that will make you think, laugh, and shiver. Now that Uncanny Adventures has debuted, we’re going to take a few minutes to continue speaking with some of the great creators in our anthology to give you a taste of what you can expect. 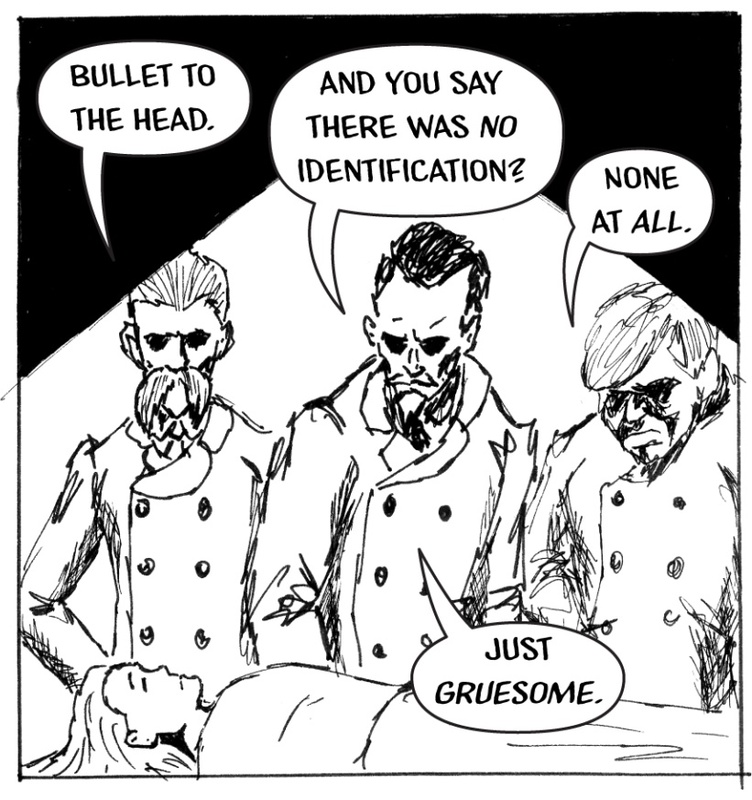 Dino Caruso and Shane Aden have put together a very cool murder mystery for our readers. It’s got a great twist and is based on a true story (as all the best murder stories are). This is far from Dino’s first comics work, having had stories published by Markosia, Ape Entertainment, Reading With Pictures, New Reliable Press, Crystal Fractal Comics and 215 Ink. Shane is a public defender by day and artist by night. Together they…well, you’ll see. Tell us a bit about Who You Are And How You Came To Be. Dino Caruso – How I came to be is a mystery. I think it’s got something to do with a dying planet, a spaceship and kindly farmers. There are so many gaps in my memory of those days. Hopefully there’s a crystal or something lying around that’ll give me some holographic feedback. I’ll keep you updated. I’m Canadian but I love those two staples of American culture-baseball and comic books. I’m a grown-up, but I can’t seem to shake a lot of the hobbies and interests of my youth. I know that apple skins are good for me, but I peel them anyway. The only way to get better at the guitar is to practice, but I don’t do it enough. And lastly, I know it’s 2013, but I still have no idea how to purchase a digital comic. Shane Aden – Well, that is the eternal question, isn’t it? I’m an attorney, live in extreme Southern Illinois, have been happily married for 16 years, with two very young children. I have been drawing since I was able to first grasp a pencil. I am blessed enough to be able to work part-time, and take care of my kids part-time. How did you find yourself making comics? 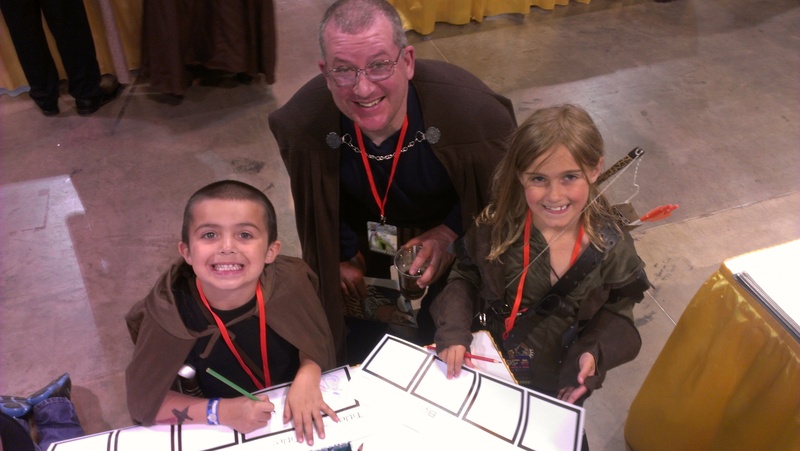 Shane – I’ve been drawing comics and/or creating characters since I was in 6th grade. When I turned 40 last year, I decided it was time to either get serious about pursuing this as a career or give it up altogether. With some encouragement from my beautiful wife and my best friend Ryan, I put together a portfolio for the first time and took it up to Chicago Wizard Con. When the people I was showing my portfolio to did not vomit and throw things at me, I took it as an encouraging sign and kept drawing. Dino – I’ve always enjoyed reading and writing stories, and comics have been my preferred means of doing so since I was a kid. Around 2006 I decided to take a chance and look for an illustrator for a story I’d written. I haven’t been able to stop since then. I’ve been in a bunch of cool anthologies, I’ve had a few solo projects and I’m always plugging away at more creator-owned stuff. Without giving too much away, tell us about your story “The Barton Murder” and how you approached it. Shane – Ah, the story? Dino I’ll let you handle that one. As far as the art goes, I did a ridiculous amount of research. 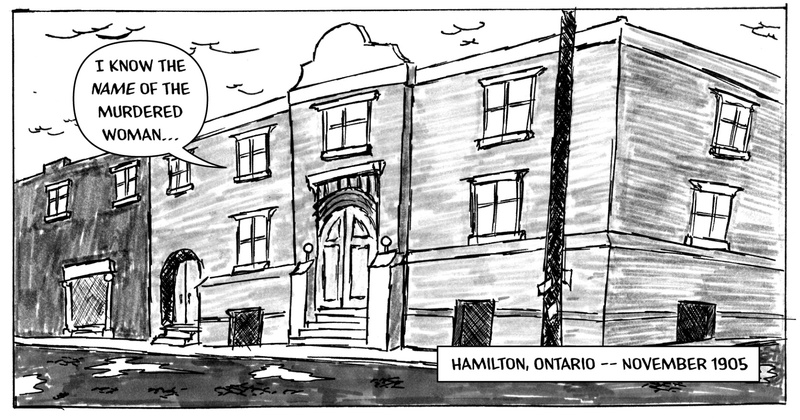 The I found a picture of the police station back in the early 1900’s, looked up fashion, including the hats that young boys would wear at that time, looked at geographical maps of Hamilton, Ontario, found some pictures of Anna Eva Faye, and even some posters advertising her shows. I probably drove Dino crazy because I kept emailing him with my sketches begging and groveling for his approval. Dino – It’s the story of an unsolved crime from my city’s past. It was lots of fun to research it, and it was a very rewarding experience to collaborate with Shane and see it come to life. As for how I approached it…I stuck to the facts, but I tried to add a few winks or question marks along the way. What are you reading right now, comics or otherwise? Shane – Right now I’m reading a lot of police reports — I’m a public defender. Comic-wise, I recently finished the trade of No Man’s Land. How did you meet up, and what’s your creative process like? Shane – Like most great romances, I met Dino on the internet. Just kidding. I did answer an ad he had placed on one of those “Writer looking for artist” websites. He emailed me, and I tricked him into letting me have the job. Only after I started the project did I find out that this guy had been published a bazillion times. I was also surprised that Dino wanted me to use this weird style of art I was experimenting with at the time. I had worked so many years to be able to draw realistically, and this guy wanted my first published work to be in an art style I just started playing with. I had never inked anything before, had never used grayscale markers before — I was a nervous wreck. Creatively, I just try to sit down and get into the story, to feel the characters out. Music is incredibly important to me, so I look to see if I can find some songs that would work as a soundtrack for what I’m working on while I draw. Some stories are acoustic alt-folk rock, some stories are Viking metal. What else is in the works for you, and where can readers find your work next? Shane – I just finished up a four page story written by Dan Melnick from Nod Comics. It’s hopefully going to be in an anthology soon. I’m also working on project with [CENSORED DUE TO NON-DISCLOSURE AGREEMENT] for his comic [CENSORED DUE TO NON-DISCLOSURE AGREEMENT]. I designed the [CENSORED DUE TO NON-DISCLOSURE AGREEMENT]. It should be out before the end of the year. Other than that, I’m just waiting for Dino to email me with another project. Dino – I’m working on a few pitches for creator-owned projects, and also some short anthology stories. I post all of my updates in two places: http://www.carusocomics.com and http://www.carusocomics.blogspot.com. Dino – Thanks alot for having me Jesse. This was lots of fun! 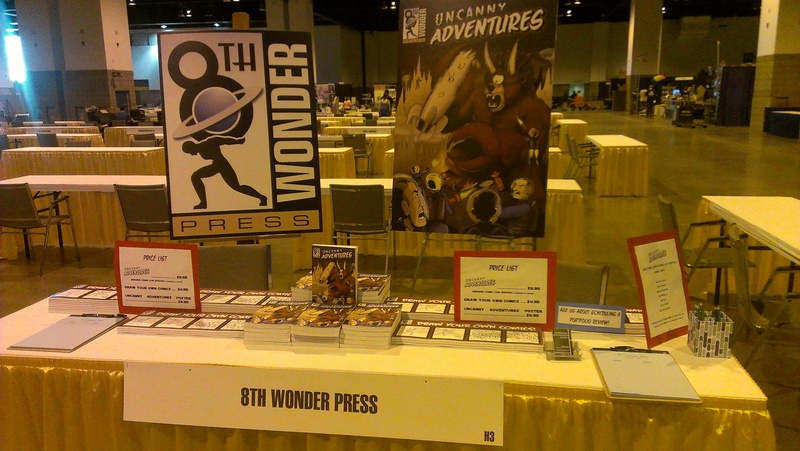 As we’ve been equal parts promising and threatening, last month was our big debut at Denver Comic Con. We came armed with plenty of copies of our Draw Your Own Comics book and Uncanny Adventures, our first anthology. Meanwhile, Denver came prepared with 61,000 (!!!) comic fans, making it one of the United States’ largest comic conventions in only its second year. 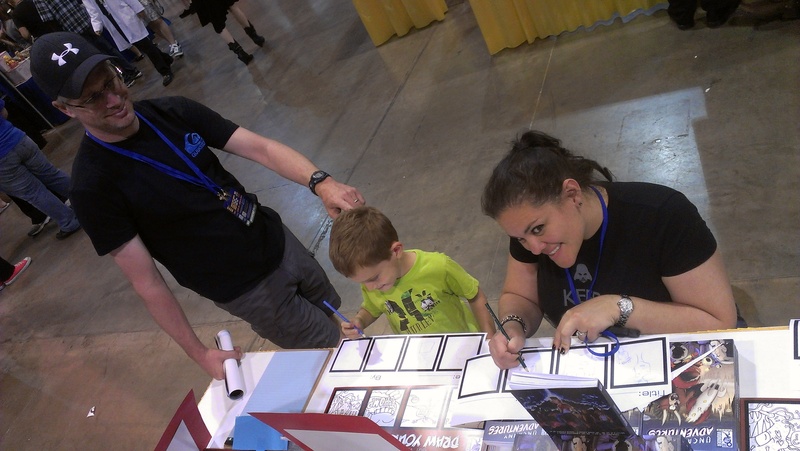 8th Wonder Press fans drawing their own comics! We sold plenty of books, but most importantly we met some terrific fans and pros out there (not to mention several of the anthology creators we’d never met in person yet)! If you were there and stopped by to say hi, thank you so much! It was great to meet each and every one of you. And if you didn’t have a chance to make it to Denver we’re still lining up convention appearances for the rest of the year.